You are here: Home / General Real Estate & Mortgage News / Thinking About Crowdfunding Your Next Syndicated Deal? 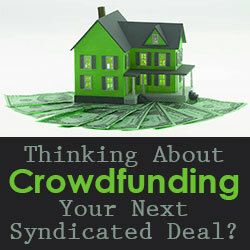 Thinking About Crowdfunding Your Next Syndicated Deal? On October 30, 2015, three years after passage of the JOBS Act and more than two years after Congress required the U.S. Securities and Exchange Commission (SEC) to implement final rules legalizing Title III crowdfunding, the SEC finally promulgated its rules. What are these much-anticipated rules, and how can developers harness them to fund real estate transactions in 2016 and beyond? The crowdfunding rules restrict the amount an issue may raise and the amount each investor may invest. Specifically, an issuer may not raise more than $1 million through crowdfunding over a rolling 12-month period. This, of course, severely limits the applicability of Title III crowdfunding in the real estate markets. Since real estate investment tends to be capital-intensive, few projects can be tackled with just $1 million in equity raised every 12 months. Accordingly, projects will likely require a mix of capital sources, including but not primarily crowdfunding. Developers can always leverage debt on top of equity, but given traditional debt-to-equity lending requirements, this too seems inadequate to fund larger real estate projects. For this reason, many developers may still need to turn to other forms of equity. In addition to crowdfunding, issuers may raise capital through more established exemptions such as Rule 506(b) and Rule 506(c). 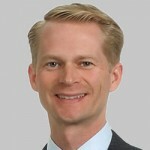 It is critical, however, that such developers or project sponsors seek the advice of securities counsel to ensure each offering complies fully with the associated rules and to prevent integration among multiple offerings, which could render each of them ineffective and, therefore, produce an illegal offering. As I have often counseled clients over the years, no one looks good in an orange jumpsuit. Even if criminal prosecutions for securities law violations are rare, they are best avoided, along with the associated civil actions brought by investors when securities laws have not been strictly followed. In addition to the constraints placed on the issuer by the SEC’s new crowdfunding rules, each investor is restricted as to the amount he or she may invest via a crowdfunding capital raise. Individuals, for example, with either an annual income or a net worth that is less than $100,000 cannot invest more than the greater of a) $2,000 or b) 5 percent of the lesser of the investor’s net worth or annual income. Once again, given the capital-intensive nature of real estate investing, syndication sponsors and others operating within the real estate development industry may wish to weigh the relative benefit and relative cost of this source of capital. To that end, the SEC’s new rules compel issuers raising capital through Title III to conduct the offering through crowdfunding intermediaries, which are Internet portals meeting specific criteria. The issuer must also file a Form C with the SEC prior to the offering. This filing must disclose a plethora of information, including the names of officers, directors and 20 percent equity holders, the business plan and risk factors. Issuers would be well-advised to seek counsel when navigating these waters. Of course, while we can easily focus on the drawbacks of the new rules, we must not overlook the significant advantages brought about by the JOBS Act. Prior to this legislative shift, it was illegal to advertise unregistered securities in the U.S. Under both Rule 506(c) and Title III crowdfunding, issuers are now free to advertise and solicit private offerings. For many businesses seeking capital, this is a game-changer. Over the many years of my practice advising real estate developers and syndicators, the inability to advertise private offerings or solicit investors was a common complaint. Finally, it seems, lawmakers and the SEC have made it possible for those seeking to fund ventures to cross into these previously uncharted waters. Paul R. Wassgren is a partner with Fox Rothschild LLP. He practices in the areas of securities, project and real estate finance, mergers and acquisitions and general corporate law. Using the firm’s Las Vegas and Los Angeles offices as his home base, Paul handles matters for clients ranging in size from individual entrepreneurs to multinational corporations. Paul can be reached at pwassgren@foxrothschild.com.